The judging is over and the finalists have just two weeks to wait until they find out if they have won a prestigious Lancashire Tourism Award, at the county’s foremost celebration of tourism excellence. This year the Lancashire Tourism Awards returns to Blackburn Cathedral, the Cathedral of Lancashire, on Thursday 10 November and today, organisers Marketing Lancashire announced that the ceremony will be hosted by award-winning journalist and broadcaster, Bill Turnbull. Bill is best known for co-hosting theBBC Breakfast programme for 15 years, as well as for his appearances on BBC’s Strictly Come Dancingand adventures in bee-keeping! Earlier this year he joined Classic FM, the UK’s most popular classical music station, to present the weekend mid-morning shows and won his own award, for Best News Presenter, at the Television and Radio Industries Club Awards 2016. Ruth Connor, Chief Executive of Marketing Lancashire said “It’s going to be a fantastic celebration of Lancashire’s tourism businesses and the wonderful people who make the industry so successful. 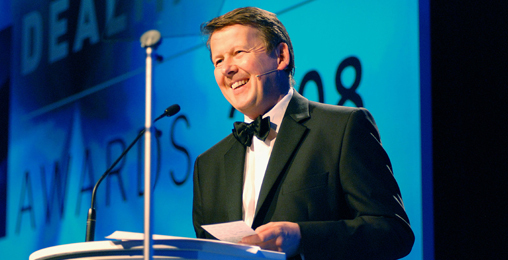 We’re planning an event that will showcase the very best of Lancashire tourism and we’re delighted to have Bill Turnbull, one of the country’s best-loved broadcasters hosting the ceremony to join with us, as we applaud and reward this year’s finalists and winners.